This program explores the mysteries of the Universe and the hidden keys to creation. The Tree of Life is a multidimensional map of reality. It’s also an effective personal vehicle for transformation. It’s so powerful and effective because it is universal and holistic, integrating all of the western Mystery traditions into one coherent and elegant system. The Tree is universal, but it’s also very personal. Every experience in your life has a point of reference on the Tree, with multiple branches and connections and access points. The ten worlds are called Sephirah. Each world represents a different dimension or realm. Together these ten worlds make up the entire Universe and everything in it, including YOU. 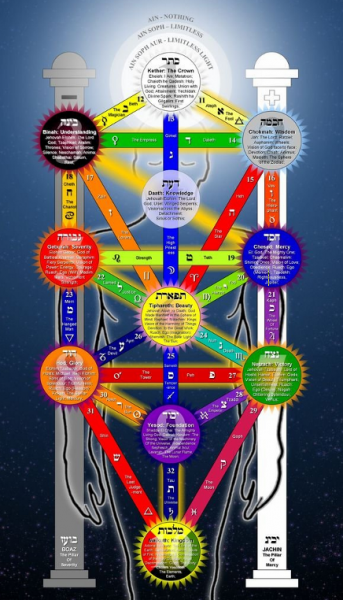 The paths connecting the Sephirah represent the connections and the ways we can learn to travel between these worlds. Physical Elements: Crystals, Color, Deities and Guides, Number, Geometry, Plant and Animal Medicine. These codes and keys are real. The exploration of these worlds creates doorways and bridges within your consciousness and in your daily life. This is a highly creative and individualized journey, with multiple ways to explore and experience the wisdom of the Tree. Monthly themes will provide a personal touchstone and help you practice and apply what you learn within your daily experience. Key monthly practices will enable you to integrate these powerful keys directly into your life. Personal and group themes will be further developed in our monthly circles. As the year unfolds the the worlds within the Tree will come alive and you’ll learn how to integrate these principles and codes into a strong foundation that you can use for the rest of your life. Our journey begins at the root of the Tree, grounded in the physical world of daily life. As the months unfold we will travel up the tree, touching each world sequentially. This journey is called “The Path of Return,” and as we move from realm to realm you will receive ongoing initiations into the nature of your own truth. This is the true journey of return. This work will be personal and unique, and also supported by the intentional group with whom you travel. 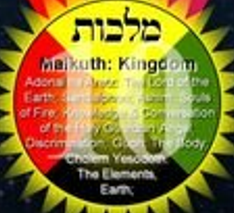 Malkuth, “Kingdom,” & the World of Physical Form. The year launches with three days of creative immersion into the codes and symbols of the Tree. We’ll also integrate the unique frequencies of the 2019 Earth Pig. The February retreat concludes with your initiation into Malkuth, the tenth Sephirah and The Kingdom of Earth. 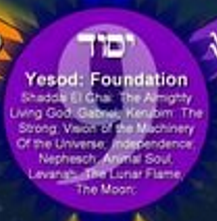 Yesod, “Foundation,” & the World of the Subconscious. This realm is our bridge from the 3-D physical world to all other dimensions of reality. 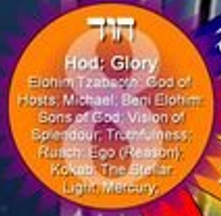 Yesod is key to opening the rest of the Tree, and where we learn what it truly means to be sovereign. Hod, “Splendor,” & the World of the Mind. This is the realm of knowledge and magic and the transforming power of the intellect. 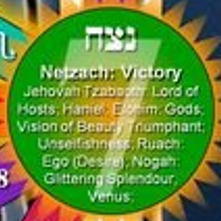 Netzach, “Victory,” & the World of the Emotions. This realm holds many keys to healing and personal power. It’s especially significant because it’s been overlooked and misunderstood. 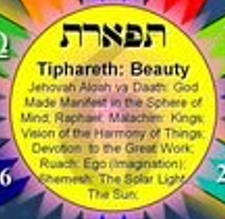 Tiphareth, “Glory,” & the World of the Illuminated Heart. This is the center of the Tree and the realm in which we connect to our higher Self. 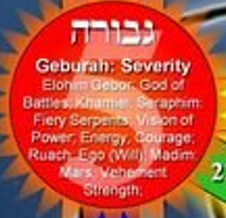 Geburah, “Strength,” & the World of the Will. In this realm we learn what it means to show up, and we experience the power of choice, the power to heal and transform within and without. 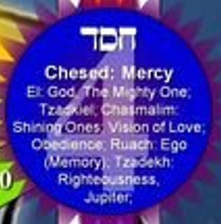 Chesed, “Mercy,” & the World of Love. This is the realm associated with all experiences of abundance and unlimited possibility, the majesty and greatness of creation. 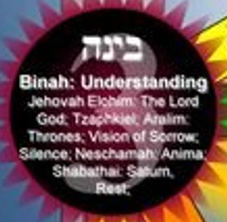 Binah & Chockmah, “Wisdom & Understanding,” & the Worlds of Higher Consciousness. These realms are associated with our transcendent experiences of higher awareness and our ability to connect with the ultimate truth of our divinity. 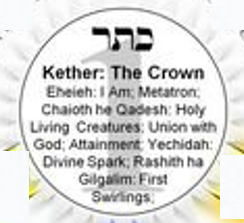 Kether, the “Crown” & the World of Cosmic Consciousness. This is the realm of pure Source energy and Oneness. If you’re reading this, then you are drawn by this vision and calling of new possibility. As a human family we are at a crossroads of history, required to join together to make big changes, and poised to take a huge evolutionary step forward. The Tree of Life supports this journey. It is, above all else, a vehicle for personal empowerment. It holds the keys to freedom, health, and abundant well being. These keys come from our ancestors. They have been hidden here and are available to us now. The time is right and necessary. These tools for empowerment are here to help you reclaim your birthright of sovereignty and co-create a world of unity and well being for us all. 2019 promises to be a watershed year of possibility, filled with abundance and expansion. This program is designed to support these potentials for you in your personal life journey, both immediately and in far reaching ways in which you can’t even imagine. Workshops meet the first Saturday of each month, 9:30 am – 5 pm. Lunch is provided. We meet at our location in Edmonds. Virtual participation is available over Zoom for those who can’t attend in person. Circle meets twice each month, 7-9 pm. One monthly circle is in person at Elizabeth’s home in Greenwood, Seattle. One is virtual over Zoom. Both circles are available via Zoom for those who can’t attend in person. Tuition for this year’s Tree of Life program is $4,950.00. There are three payment options. Ten installments of $495 per month, payable January – October. Three installments of $1,565, payable January, April, July. One single payment of $4,550, payable by January 15. To reserve your place, submit a $100 registration deposit along with your 2019 Agreement Form. (This form is emailed to you upon request.) The registration deposit will be applied to your final tuition payment. Prerequisites: This program is open to all graduates of the Alchemy 101 Program. Daily personal practices that integrate physical, emotional, mental and spiritual well being. Knowledge of the human energy system, including chakras, and corresponding practices related to grounding and embodiment. Access to personal healing tools via self and other practitioners, allowing for support when needs arise. This Program is Limited to 10 People. Don’t Miss Out. Register Now! The following knowledge paths are integrated into all of the Mystery School programs.